At Fayetteville Dodge Ram, we want to show you the high-performance 2019 Chrysler 300. This full-sized luxury sedan is filled with features that will improve your driving experience in any road conditions. Equipped with a 5.7L HEMI V8 engine, the Chrysler 300 provides 363 horsepower and 394 pound-feet of torque. When the engine detects that you don't need access to all of the power, like when you're cruising down a highway, it will turn off four of the cylinders in order to make the car run more efficiently. 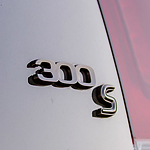 The Chrysler 300 gets 30 mpg highway. 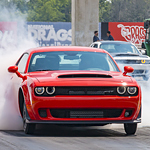 At Fayetteville Dodge Ram, we invite you to come and sit behind the wheel of Dodge's 2019 Challenger and experience its interior design for yourself. This is a high-performance car with a high-performance interior that pushes style and function to their limit. The first thing you'll notice when you sit down is the Challenger's seats and steering wheel. The stylish accent-stitched seats are designed to hug the contours of your body for maximum comfort when you hit the gas. They come in five different colors and materials to match your unique look. The Dodge Journey is one of the most popular vehicles available on the market today. 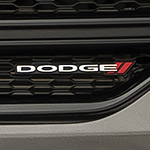 You might be able to find it or have it delivered to Fayetteville Dodge Ram. It has several performance features that will pique your interest and may be the deciding factor in choosing in to buy it. 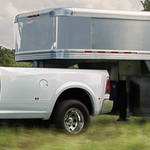 There are many reasons why the Ram 3500 is a popular heavy-duty pickup truck. At Fayetteville Dodge Ram, our consumers are impressed with this truck because it comes with a plethora of features. These include exterior features that are innovative and enhance convenience and efficiency. 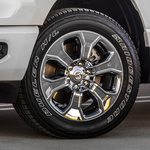 Wheel-to-wheel side steps are an available exterior feature of the Ram 3500. 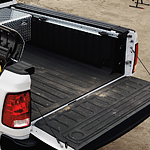 These steps help you easily access the truck bed, and the steps have a tubular design that increases aerodynamics for improved performance efficiency. Pickup Truck - Should You Buy One? Switching from a car to a pickup truck can be a big transition and, if you’re like many consumers, you may have many questions and concerns. Our staff at Fayetteville Dodge Ram want you to be able to make an informed decision, so we’re here to offer our experience and knowledge of trucks to help you along. 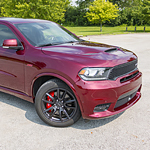 The Dodge Durango is the type of vehicle you need to take the adventures you want without having to be overly concerned about how expensive it's going to be to get there! With an impressive Pentastar 3.6-liter engine, which provides 295 horsepower and best-in-class fuel economy, the estimated highway EPA-rating of 26 mpg allows you to keep on moving and spend less time filing up! 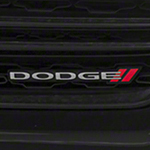 Visit Fayetteville Dodge Ram today and you'll be able to see the popular Ram 1500 on the lot. This light-duty pickup truck has a number of safety features to consider. 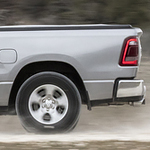 The Ram 1500 is able to identify when the driver is not paying attention and the vehicle begins drifting outside the lane line. If the car leaves the lane lines, the Lane-Keeping System will begin to send an alert so the steering wheel starts vibrating and giving the driver the opportunity to be able to correct before an accident is imminent. At Fayetteville Dodge Ram, our team takes the time to research our vehicles carefully to provide our consumers with detailed information. The Ram 2500 is one of the top heavy-duty pickup trucks in its class because it offers a wide range of features. With this pickup, the powertrain offers two available transmissions and three engine options. From time to time, the team at Fayetteville Dodge Ram like to focus some of the key features on the new vehicles that are rolling on to the lot. 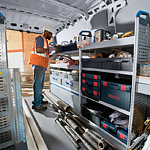 This week, our focus is on a few of the durability features that comes packed into the all-new Ram ProMaster cargo van. The 2018 Dodge Charger is designed to make driving a pleasure again. You'll like the way it looks on the outside and inside. This road-hugging, classic sedan is known for combining performance and great styling. Now it's making a name as one of the most comfortable cars you can drive. Once you step into it and start driving, you'll be pleasantly surprised by all the innovative ideas that add safety and ease of driving.